Bolton Smith, a Memphis investment banker and the first president of the Chickasaw Council, purchased and donated the original 206.28 acre Kia Kima site on April 11th, 1916. He went on to serve as vice president of the Boy Scouts of America and is the only Chickasaw Council Scouter to ever receive the Silver Buffalo Award. The main campsite was to be situated on a bluff overlooking a riverfront on the South Fork of the Spring River, in Sharp County, Arkansas, near Hardy. The Hardy, Arkansas area was a logical choice for a summer camp as many Memphis families had vacation homes there, where they traveled to escape the summer heat in the city. 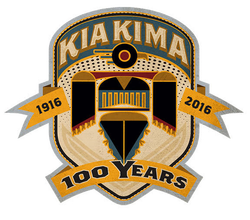 Kamp Kia Kima first opened in 1916. This area of Arkansas became a center of camping and outdoor activity. As one of the first camps in the area, Kia Kima attracted other camps and was instrumental in the continued development of north central Arkansas. The first Scout Executive of the Chickasaw Council was a young man named Edward Everett, who served as the first camp director of Kia Kima. His wife served as the director of a nearby girl’s vacation camp, Camp Miramichee. In the early days, Scouts came to the camp as individuals, mostly because in those days few Scoutmasters could arrange for a week off from work to accompany their troops to camp. The individuals were then put into lodges with other scouts whom they stayed with while they were there. Later, with growth in the scouting movement in Memphis, more and more troops began to come to camp as a unit, and learn and practice organizational skills as well as individual camping skills. A special sash was presented to Scouts who qualified as good campers at the old camp. The camp provided many activities including camping, cooking, swimming, pioneering, life saving, canoeing, rowing, handicrafts, archery, a rifle range, field sports and games and plenty of hiking. As a result of transportation costs and a shortage of supplies and leadership, Kia Kima was closed for summer camping during the World War II years. In 1947 a group of Kia Kima alumni wanted to see their old camp reopened so they formed the Kia Kima Klub. After extensive fundraising on behalf of the alumni, the camp reopened in 1948. Also in 1948 the Chickasaw Council adopted the Order of the Arrow as a part of its camping program. Chickasah Lodge of the Order of the Arrow was founded at Kia Kima and held its first Ordeal Ceremony there that year. The 1950s and 1960s were a tremendous growth period for the Scouting program in the Memphis area and the use of Kia Kima grew during those summers. The lodges were no longer the preferred method of Scout camping. By this time, most troops were coming to camp under their own leadership. Many more campsites were needed to accommodate the additional troops wanting to attend summer camp. There was little room left for expansion on the then existing 160 acre tract. By the early 1960s, the Council's Executive Board was seeking property alternatives. West Memphis, Arkansas businessman John Cooper came to the Ozarks when dropping his son off at Kia Kima. He saw the potential and the beauty of the area and bought nearby land in 1946. Over the years Cooper supported the old camp in various ways such as providing a water supply pipe, a rifle range, a septic field, and numerous other services. In 1953 Cooper formed the Cherokee Village Development Company and began creating the Cherokee Village resort community near Hardy which opened in 1955. By the early 1960s the "coming Mecca of the Ozarks" had already outgrown its boundaries and needed to expand, but Kia Kima was in the heart of Cherokee Village. In the fall of 1963, Cooper approached the Council's Executive Board with a proposal to exchange a 540 acre tract a few miles upriver from the old camp on the edge of the sprawling Cherokee Village for the 160 acres of the old Kia Kima property. In addition, his construction crews would build a dining hall, water system, other buildings, roads and a lake for the new camp. After deliberation, the offer was accepted and the contracts were signed on February 12, 1964. The work began immediately on the new camp Kia Kima and it was ready for its first camping season just a few months later.. In 1964 Kia Kima officially opened at the current Reservation. In 1965 Camp Cherokee opened as the outpost camp across the river from Main Kamp (later renamed as Camp Osage). Over the years the Reservation has expanded including the purchase of Mount Mesara and Mesara Spring in the fall of 1983. The Mountain was originally called "Six Acres" as it was the 6 acres that camp did not own. "Kia Kima Scout Reservation" was officially adopted as the name of the camp in the fall of 1976. This replaced "Kamp Kia Kima" which had been in use since the founding of the camp. "Reservation" was a better title since the name Kia Kima encompassed two separate camps on the property. During the 1980s the Staff grew under strong camp leadership. In 1984 Explorer Post 240 was formed to foster Staff Brotherhood and serve Kia Kima. For several years the Post was the main core of the Staff and they made a lasting impact on the Reservation through different service projects and setting an example of what makes a dedicated Kia Kima Staff better than other camp's staff. One such project was reforming the old Ma'Kya Trail on the newly acquired Mount Mesara and operating it for several years. Kia Kima wanted to expand programs to older Scouts and Explorers, so in 1991 the Ozark Venture Base was founded on the Reservation. Seven years later in 1998 Venturing Crews were created and also began utilizing OVB. The physical Base is located near Chapel in what was once the Staff Area, however most of the programs do not spend much time there and instead go up Mount Mesara or off-Reservation into the Ozarks. In 1993 the Delta Area Council merged into the Chickasaw Council along with their own Camp Tallaha near Charleston, MS. Camp Tallaha opened in 1925 and the Chickasaw Council continued to operate Camp Tallaha until 2002. When Tallaha closed, many of the Staff came to Kia Kima bringing their traditions with them.The Kia Kima heritage further increased that year with the closing of neighboring Camp Cedar Valley. Eastern Arkansas Area Council had initially leased Kia Kima during WWII in 1941 before opening Cedar Valley upriver from the camp in 1942. In 1966 Cedar Valley moved to Viola, AR with the expansions of Cherokee Village and then closed in 2002. Most of the CV staff joined Kia Kima that year as well as the Tallaha staff. The Kia Kima Alumni Association was formed by a group of former and current staffers with a mission to support the camp and strengthen the ties between the generations of alumni. The Association officially incorporated in the state of Arkansas in December of 2014 and began to work towards strengthening the alumni presence on the Reservation. The impact of Kia Kima was recognized by the state of Arkansas in 2014 when Old Kia Kima was placed on the Arkansas Register of Historic Places. It was listed for its local historical significance in the development of the Hardy, AR area and Cherokee Village as well as for the Rustic-style architecture of the stone lodges. During the approval of Old Kia Kima, one of the members of the State Review Board remarked that Old Kia Kima represents the reason that the ARHP exists: to recognize groups of people attempting to preserve Arkansas history. In 2015 a large Capital Campaign saw the completion of a new Dining Hall and Parade Ground in Camp Osage. This replaced the old Dining Hall that had been built in 1964. Along with the new Dining Hall were many campsite improvements and two new public shower houses.